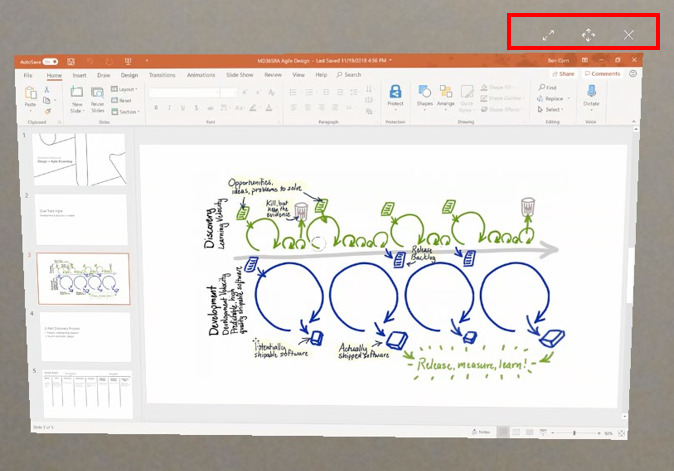 Use Dynamics 365 Remote Assist to connect and collaborate using hands-free video calling, mixed reality annotations, and file (image and PDF) sharing. Use your HoloLens to call an expert who's using Microsoft Teams, and then share what you see on HoloLens to solve problems and complete tasks together, faster. Need more help? Check out Remote Assist FAQ for answers to common questions. Watch how-to videos about Remote Assist. A subscription to Remote Assist. 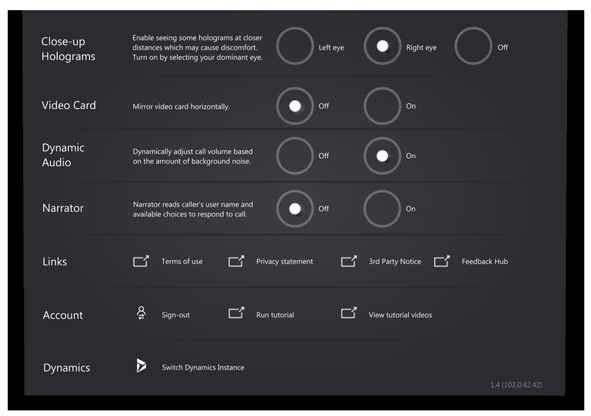 Microsoft Teams is included in the Remote Assist subscription for individuals using a Remote Assist license on HoloLens. A Microsoft Teams license is also required for individuals (experts) who communicate with a Remote Assist user on HoloLens. Teams may be available as a free download for these users. If you’re the admin for your organization, learn how to try or buy, and deploy Remote Assist. You can try Dynamics 365 Remote Assist for free for up to 90 days. Learn more about the free 90-day Dynamics 365 Remote Assist trial. A HoloLens running the Windows 10 April 2018 Update. 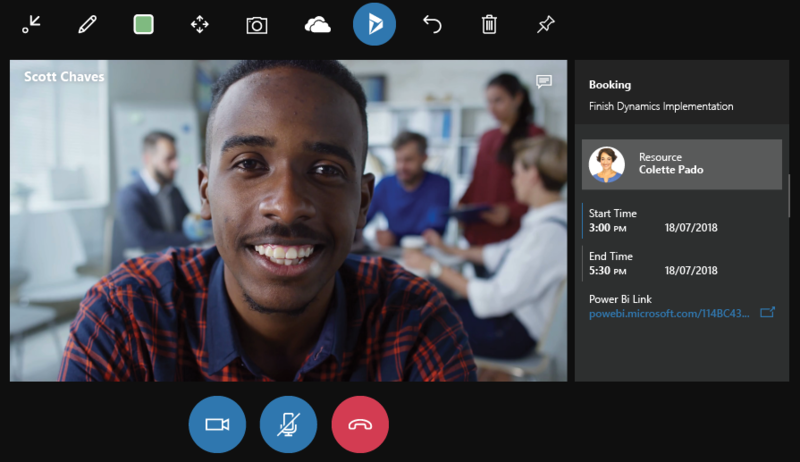 To make a video call, you'll need a contact using the latest version of Microsoft Teams on a PC running Windows 10 or a mobile device running Microsoft Teams Mobile. Learn about using Teams with Remote Assist. 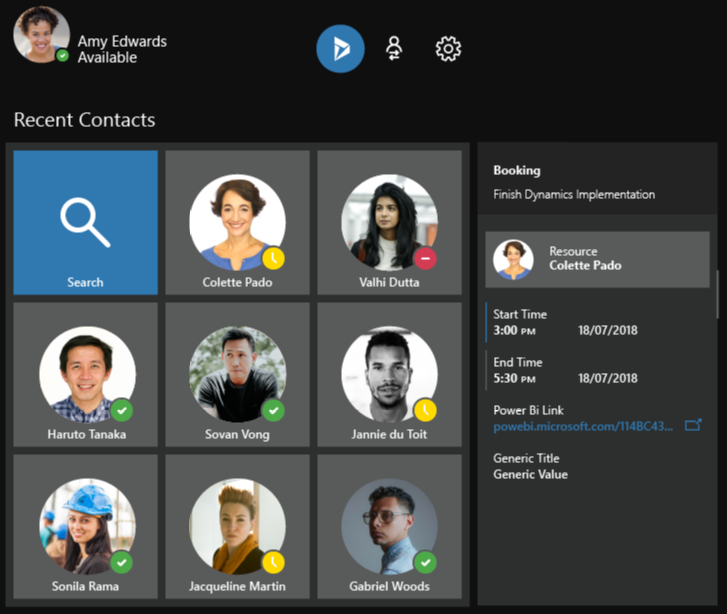 To connect to Dynamics 365 for Field Service from within Remote Assist, you’ll need a Dynamics 365 license. An internet connection. At least 1.5 MB of bandwidth is recommended for the best experience. Need to get up to speed on HoloLens? Get help. How you install Remote Assist depends on how your administrator chooses to distribute the app. Your admin might have you install the app from the Microsoft Store for Consumers, from your organization’s private store, through an email link, or another method. On your HoloLens, go to Start > All apps. Select Remote Assist, then select it again to launch the app. Remote Assist is an immersive app with a holographic view, so it will be the only app you see while you’re using it. If your HoloLens is running the April 2018 Update and you're signed in with an Azure Active Directory (Azure AD) account, you'll automatically be signed in to Remote Assist. If not, use the holographic keyboard to sign in with a work or school account that has an Office 365 Premium or Essentials subscription. Once you’re signed in, you’ll see your recent contacts. The procedures in this user guide describe how to do tasks through the user interface or by using voice commands, when available. To use a voice command, say “Remote Assist,” and then say the voice command. Learn more about voice commands. Open the app and select a recent contact. If you don’t see the contact you want, select Search , and then use the holographic keyboard to enter a name or email address. When your contact answers the call in Microsoft Teams, they’ll be able to see what you see in your space—including holograms. Dynamic audio adjusts the volume level based on ambient noise in the room so you can hear even if you're working in a loud environment. You can include up to 50 people in a group call. You can also switch between participants' video feeds and mute participants as needed. In the upper-right corner of the video feed, select the Open Participants button. Select the Open Participants button again if you want to close the pane. Select one of your recent contacts, or select Invite Someone at the bottom of the list. A list of your recent contacts will appear. If the person you'd like to call isn't on the list, enter a name or email address using the holographic keyboard, and then select a name in the search results to start the call. Learn how to add additional contacts from Microsoft Teams Desktop. Hover over the participant whose video feed you want to switch to, and then select it. If the participant's video feed is enabled, the video will switch to their feed. You can also switch video feeds from the “participant tray” located below the video feed. Hover over the avatar to display the participant's name, and then air tap to switch video feeds. You can't mute a participant in a one-to-one call. Air tap the mute icon for the participant you want to mute. If you mute a participant, you won't be able to unmute them. They must unmute themselves through Teams. Select Video (or say “Video”) to accept the call as a video call or Audio (or say “Audio”) to accept it as a voice-only call. To decline the call, select Ignore (or say “Ignore”). To receive calls when you’re using other apps on HoloLens, open the Remote Assist app. Then use the bloom gesture to leave Remote Assist. Go ahead and use other apps. You’ll get a notification from Cortana if a Remote Assist call comes in, and you’ll be able to accept or decline it using your voice. You can pin your video feed in your space, or you can have it follow you around. Gaze to position the window, and then select Pin (or say “Pin”). To have it follow you again, select Unpin (or say “Unpin”). You can record and save a call to a file for viewing later. 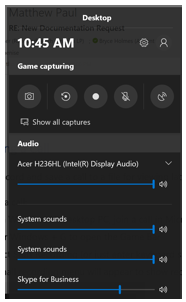 The easiest way to do this is to use the Game bar built into all Windows 10 PCs. On a Windows 10 desktop PC, join a call using Microsoft Teams. Press Windows logo key + G to open the Game bar. Select the Start Recording button (or press Windows logo key + Alt + R). A small recording menu will appear that shows that the recording is in progress. To stop recording, select the Stop Recording button. The video of the recording will appear in your Videos/Captures folder. Learn more about the Game bar. You can text chat with the other user on the call. The chat window displays just the text messages sent during the call. Select Show (or say “Show”). Select the text preview field at the bottom of the chat window. This will bring up the holographic keyboard. Select characters in the holographic keyboard. Select Microphone , and then dictate your message. HoloLens will convert the message into text. Connect a Bluetooth keyboard directly to the HoloLens and type your message. Air tap and drag the chat window. If a message is sent from another user when the chat window isn’t open, you’ll receive a notification. When you're working with an expert on a call, the expert can share their desktop or application window with you to assist with the call. When an expert shares their desktop or running application this way, your video feed of the expert will change to a solid color. You'll still be able to use all the tools in the toolbar even though your video feed is no longer displayed. To move, size, or close the shared window, use the controls at the top right of the shared window. Once you’re connected to a video call, your contact will see everything you see in your space—including your holograms. Use HoloLens gestures to draw, place arrows, and add files to your space. Your contact will see your additions, and will be able to make annotations of their own. Select the Arrow tool (or say “Arrow”) during a video call. Air tap to place the arrow. 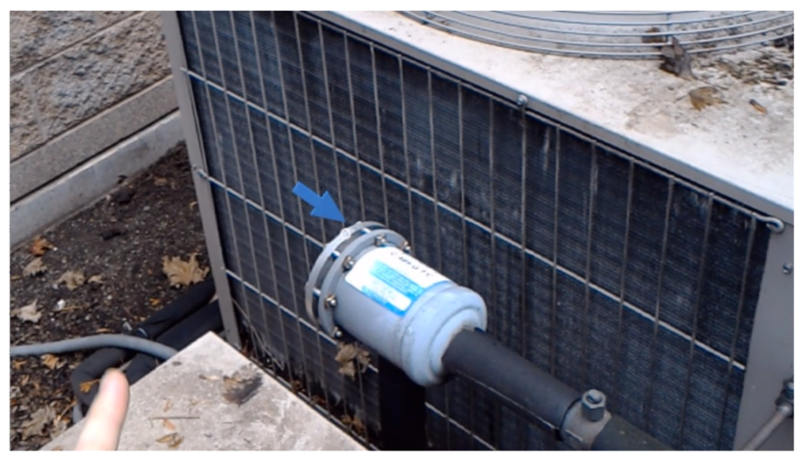 If you want to specify the direction that the arrow points, air tap and hold, and then rotate your hand to position the arrow. Select the Ink tool (or say “Ink”) during a video call. Gaze where you want to draw, and then use tap and hold to draw. To finish a drawing, raise your finger back up. Select Colors (or say “Choose colors”), and then choose the one you want. Import an image or PDF file from OneDrive for Business and then place it in your space. For example, add an image of a diagram to assist with the call. The people you call will be able to see the image or PDF file in the Teams app during a video call. During a video call, select OneDrive (or say “OneDrive”). Find and select the file you want to add. Gaze at it, and then select Move (or say “Move”). Tap and hold the image and move your hand to reposition it. Gaze at it, and then select Scale (or say “Scale”). Tap and hold a corner of the image, and then move your hand to make it bigger or smaller. Jump to a specific page Select the page number to bring up the holographic number pad, and then select the page you want. 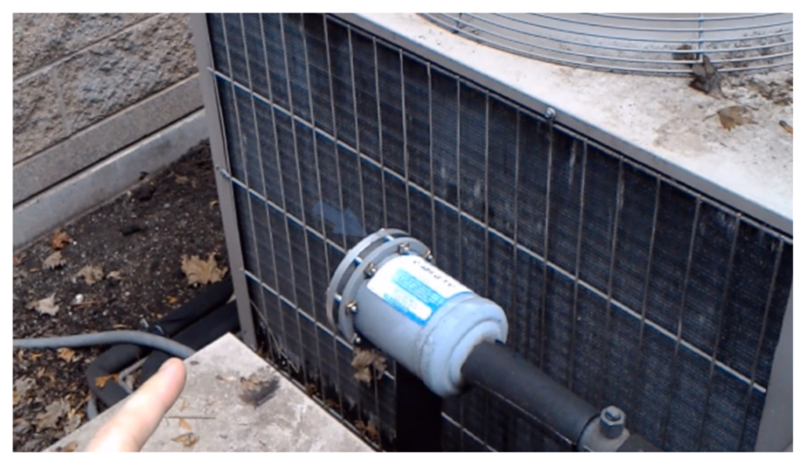 During a call, you can take a photo of your mixed reality annotations to save for later. Select Camera (or say “Camera”), and then air tap (or say “Snap”) to take the photo. The photo will be saved to your HoloLens camera roll. Select Erase all at the top of the call window (or say “Erase all”). Select Undo at the top of the call window (or say “Undo”). In many cases, you can use voice commands and gaze instead of gestures. Some voice commands are contextual, so they only work in particular areas of the user interface. To use a voice command, say “Remote Assist,” and then say one of the voice commands in the following table. For example, say "Remote Assist, Move" to enter Move mode for a slate (window). You can also gaze at any button and say “Remote Assist, Select” to select that button. Sign out Sign out of Remote Assist. Previous Go to previous page. Next Go to next menu. Back Go to previous menu. Undo Undo the previous action. Pin Pin the video feed in your space so it doesn’t follow you around. Unpin Unpin the video feed in your space so it follows you around. Hang up End the call. Audio Answer an incoming call with audio only. Video Answer an incoming call with video. Ignore Decline an incoming call. Start video Turn on the video for a call. Stop video Turn off the video in a call. Mute Mute the call audio. Unmute Unmute the call audio. Search If used in the Contacts window, brings up the Search window to search for a contact. Next If used in the Contacts window, brings up the next contact in the list. Previous If used in the Contacts window, brings up the previous contact in the list. Show Show the text chat window. Hide Hide the text chat window. Arrow Select the Arrow tool to place an arrow in your space. Ink Select the Ink tool to draw on the walls and surfaces of your space. Move Select the Move tool to move an object. Scale Select the Scale tool to resize an object. Camera Select the Camera tool to take a picture of your space. Snap Take a picture when the Camera tool is open. Blue Pick the blue color. Gray Pick the gray color. Green Pick the green color. Red Pick the red color. Yellow Pick the yellow color. Erase all Remove all visual elements from your space. Select slate After entering Move mode, gaze at the slate you want to move, and then say "Select slate". The slate will start following your gaze. Accept After entering Move mode and selecting a slate, place the slate where you are currently gazing by saying "Accept". Cancel Stops a currently selected slate from following your gaze and returns it to its original position before you started moving it. Scale Enter Scale mode to resize the slate. Or, you can gaze to select the Scale tool, and then say "Select" to enter Scale mode. Bigger or Smaller Make the window bigger or smaller after entering Scale mode. Repeat the "Bigger" or "Smaller" command until the window is the size you want. Reset While gazing at a slate that has recently been moved, saying "Reset" will return the slate to its original position. OneDrive Open OneDrive at the root folder to insert a file. Next Go to next page in OneDrive. Previous Go to previous page in OneDrive. Settings Go to Settings page. You can turn on the Narrator if you want to take advantage of voice narration for incoming calls. When you turn on incoming call narration, in addition to displaying the incoming caller's name, the caller's name is announced. You can then say "video," "audio," or "ignore" to respond to the incoming call. Go to Settings, and then select the On button for the Narrator. Having trouble in another HoloLens app? Use Remote Assist to show an expert what’s happening and get some help. Open an app on your HoloLens. Use the bloom gesture to leave the 3D view, but don’t close the app launcher. Start Remote Assist and call your contact. Once the video call is connected, use the bloom gesture to leave Remote Assist. Your call will remain connected. Select the live cube of the app you need help with. Once the app has launched, your contact will be able to see its content and give you guidance. When you’re done getting help from your contact, make sure to go back to Remote Assist and disconnect the call. Until you do that, the call will stay connected and your contact will see and hear what’s happening on your HoloLens. If your organization uses Dynamics 365 for Field Service to manage field service work orders, you (the first-line worker) can view Dynamics 365 for Field Service bookings from Remote Assist and call the expert listed in the Support Contact field. This enables you to do heads-up, hands-free calling through HoloLens in the context of a Dynamics 365 for Field Service booking. For information on setting up and troubleshooting Field Service integration if you're an admin, see Troubleshoot Field Service integration. Note that a Dynamics 365 license is required to view Field Service bookings from Remote Assist. The Recent Contacts screen will appear with a Booking pane to the right. Only bookings with the “In Progress” status are listed. In the Booking pane, select the resource (expert). In the filtered contacts list, select the tile for the expert. If you don’t see the contact you’re looking for, select Search to bring up the holographic keyboard. When you select a contact, you’ll see the following screen. Booking information is blurred out when you’re in a video call, but remains visible during an audio-only call. Select a Power BI link to open Power BI Online in a browser or to open the Power BI desktop application. When you open a Power BI dashboard, Remote Assist closes. If you’re on a call with an expert, the expert will remain on the call. Return to Remote Assist by opening the application again through the applications menu or live cube. To modify the default view of information in the Booking pane, edit the view as you would any Dynamics 365 view.